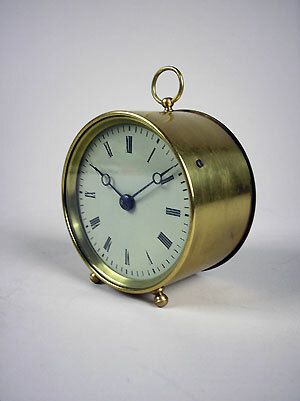 This is a small brass drum clock stamped on the backplate with medaille d'or, Paris. The clock pendulum is on "tic tac" escapement and a label on the back cover reads Wenzel, Chronometer, Watch and Clockmakers, Melbourne. 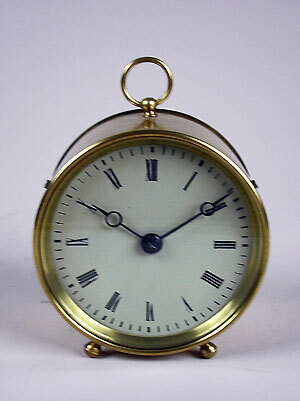 The clock has an eight-day duration and is wound from the back.